Home / Lifestyle / Arts & Entertainment / Infinity War: Was it Worth the Hype? Infinity War: Was it Worth the Hype? Avengers: Infinity War was released almost a month ago and has quickly become a huge success. Gaining 1.8 billion dollars worldwide and having the most successful box office weekend of all time, the 19th film in the Marvel Cinematic Universe has been teased ever since The Avengers, back in 2012 and the anticipation has been building up ever since then. So did the movie live up to the 6 years of hype? Or did it fail expectations and be just another generic superhero movie? Infinity War has a lot to offer with it’s experience, bringing so much to the table for one to just experience and enjoy. One of it’s strongest strengths is most definitely the wide ensemble of characters that is nearly carrying the entire movie. There is a charm to seeing characters like Iron Man and Doctor Strange, who we’ve grown comfortable with after seeing them in their own movies. The two bicker with distinct philosophies and ideals, which provide a fun interaction that could lighten the tone and also add some reason for what the two do for one another later on in the movie. The same can be said for the other pair-ups that work. Like Thor having a respect for Rocket Raccoon’s brash nature similar to his own and this almost unspoken rivalry between him and Star Lord. But ask anybody what their favorite scene was and most likely it would be when the characters are just simply allowed to bounce their own personalities off of one another and have fun. Every character gets their own opportunity to shine and to feel like they really do serve a point to being there. But one of Infinity War’s greatest characters turned out to be it’s main villain, Thanos. Thanos is interesting, both as a character and a villain. He’s a tyrant, but the movie does show us his more vulnerable side. When he has to make a difficult decision, you see him contemplate and second-guess himself and question if it’s all worth it. But he does what he thinks has to be done and further pushes how crazy and unpredictable he truly is, making him all the more intimidating. Even his motives, if looked at from a certain point of view, is one that some people might almost agree with. Thanos is afraid of the overpopulation of the entire universe and believes that it’s only salvation is a new beginning with half of the universe gone. It rings out to our fears of overpopulation and how we have started to become fearful of it as well and gives us some kind of understanding to what Thanos is doing. Watching him experience this mismatch of both cheering at his triumph and his failures makes Thanos one of the most interesting and complex characters to watch out of all the Marvel movies so far. 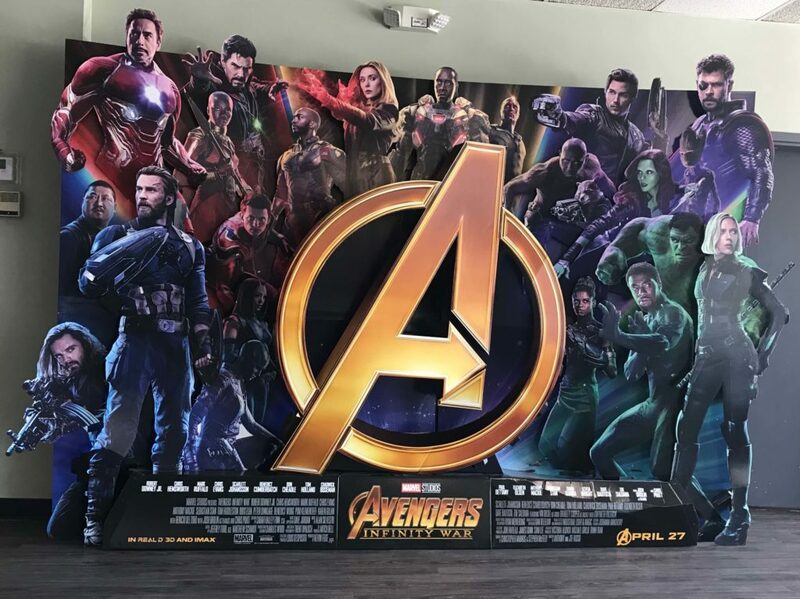 Now, with a movie of this size and caliber it was bound to draw in some viewers who may have never seen a single Marvel movie before. This statement rang true when the movie was released and this was one of the problems that Infinity War had to manage along with numerous others. And it did end up feeling a little clunky around some parts of the movie. You definitely do need to have some knowledge about certain relationships’ between characters, because in some instances the movie will just overlook some sort of brief explanation. It’s confusing why Gamora would ever care about some blue robot named Nebula and go to such lengths for her because the movie never told you they were sisters. It also doesn’t do that great of a job at explaining where and what the Infinity Stones are, despite them being huge elements to the story. Two are completely glossed over in how Thanos even got them, with one stone is simply said to have been taken from an alien planet and never addressed again. But everything else seemingly is easy to follow. You can understand that the Guardians are basically just space mercenaries, the Avengers have an internal feud splitting them apart, Doctor Strange is a trippy 60’s wizard man, Spider-Man is just a kid who doesn’t get what he’s really doing, so on and so on. So when asked if you can watch this without having to watch all 36 hours of the other movies, you really can if you’re willing to be left out on some references and have some minor questions. So, by now you may have already heard about how Infinity War’s ending from either having seen the movie or it being spoiled online or by friends. And yes, it is a real somber ending to what was a fairly fun movie to watch. It was probably the only time I’ve ever seen a big movie have absolute silence during it’s credits and really does give an idea about how surprising they truly made the ending seem. The ending makes it feel like the movie had a meaningful contribution to the entire Avengers story but also left some doors open to what the future could show happening in the fallout of it. It brings back the memory of seeing Star Wars; The Empire Strikes Back and how you were unsure how well the characters in the film could overcome this feeling of dread that settled after the credits rolled. This is also one of the very first superhero movies where we see the villain actually win and now opens up a door where now any hero in future movies can lose, adding some more feeling of not knowing what will happen. Obviously some characters will not stick with what happens to them forever, considering how big they are to future movies, but it was a real twist of expectations on how a Marvel movie could end and was drastically different than the satisfying conclusions that settled themselves into the typical Marvel movie formula. By no means is the ending going to be the greatest and most emotional scene of all time and have you pass out from pure distraught (That really did happen in one theatre), but managed to be a well needed fresh of breath air. So overall, InfinityWar seemed to pull off extremely well in the end. It handled its large cast of characters well and gave everyone enough screen time, used Thanos perfectly and built up his character up far better than expected and seemed to be a movie anyone could watch, minus some trip-ups here and there. Putting it all together, it’s safe to say Avengers: Infinity War lived up to the hype.